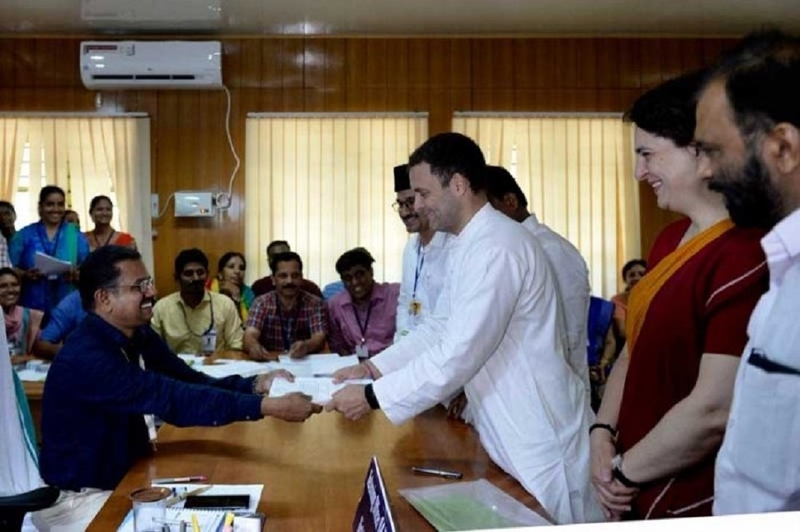 Congress President Rahul Gandhi on Thursday filed nomination from Wayanad Lok Sabha constituency. Gandhi, accompanied by his sister Priyanka Gandhi and senior Congress leaders including K C Venugopal and Mukul Wasnik, submitted the papers before the district Collector A R Ajayakumar at the district HQ here. Heavy security was in place in and around the Collectorate ahead of the high profile visit of the Congress chief. Earlier, Gandhi, Priyanka and other leaders, reached by a special helicopter that landed in a nearby school ground. Braving the scorching heat, host of party workers including women and youth gathered waving party flags and raising slogans. Gandhi also took out a roadshow after completing all the nomination procedures.